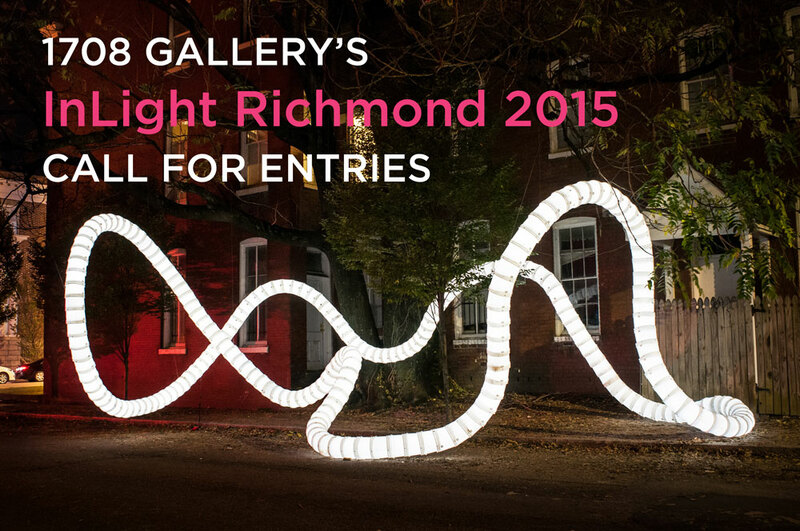 Department of Art | Now accepting proposals for InLight Richmond 2015! Home » Now accepting proposals for InLight Richmond 2015! Now accepting proposals for InLight Richmond 2015! Submit Your Proposal by Midnight (EST) Sunday, May 31! 1708 Gallery invites national and international artists working in all media and disciplines (including performance) to submit proposals for InLight Richmond 2015, 1708 Gallery’s 8th annual one-night, public exhibition of light-based art and performance. InLight 2015 will take place on the grounds of the Virginia Museum of Fine Arts on November 13, 2015. Proposals for InLight 2015 should involve, be inspired by, investigate, or interpret themes of light, from light as medium to light as concept. (Existing work, as well as proposals for new projects, will be considered.) 1708 Gallery also encourages artists to propose projects that respond directly to the site. The juror for InLight 2015 is Alex Baker, Director at Philadelphia’s Fleisher/Ollman Gallery. For more information about InLight Richmond 2015, submission guidelines and entry form, please visit our website.